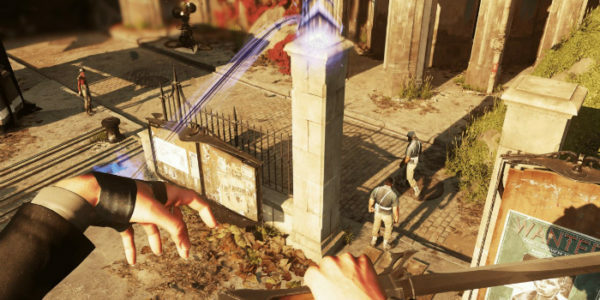 One of the most challenging trophies to acquire in all of Dishonored 2 has players trying to complete the entire game without killing a single person. This alone sounds like a daunting challenge, but it’s also the best way to get the trophy for never alerting a guard as well. In order to get this, you should make sure that both the mechanics and level design is familiar to you, as it will remove a lot of headaches. 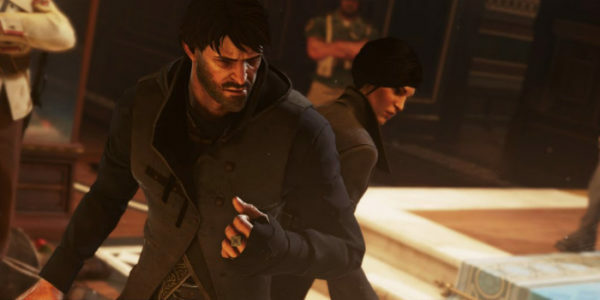 In Dishonored 2, it will behoove you to stay up on the roofs and rafters as much as possible. Staying off the streets will allow you to avoid a lot of patrols throughout Karnaca. Given most NPC’s vision does not extend vertically, this can let you use tall bookshelves and even lamps to hide above enemies. This will allow you to avoid most engagements that could end in bloodshed and help you learn the patterns of the guards in a particular mission. You also rarely want to engage more than one foe at a time unless you are using a power like Bend Time or Domino. Isolating NPCs and hiding them in areas that are no longer patrolled is key to going undetected. Also, if you are going for this trophy/achievement, then you can play on any difficulty, so attempting the No Kill run on Easy will be far less frustrating. Guards are way slower to react and it will offer more leniency if you make a mistake during your attempt. Finally, make use of your Quick Save function regularly during your playthrough. Usually after each knockout or before you are about to try something fairly risky. If you are considering playing as Emily for a no kill run, you will want to make sure that you invest in a few key powers. Far Reach is the most obvious, its slow down mechanic will let you cross far greater distances than your normal version would. Just remember that if you are jumping and using Far Reach at the same time your momentum will carry, which means you can launch clean over a balcony. Always try and aim for a wall if you are warping yourself mid jump, just in case you miss the landing. Domino is the other key ability that you want to start putting runes into, as it will let you sweep entire rooms with ease. This is perhaps Emily’s best power for a no kill attempt, since there is usually more than one guard on patrol. Remember that you can link targets from a fair distance away, so don’t worry if a guard wanders off. This power doesn’t use a ton of Mana, so don’t feel bad about using it liberally during your missions. Finally, the last two powers you want to grab are Mesmerize and Dark Vision, as they are fantastic utility powers. While you won’t use them a ton, there are situations where a power like Mesmerize will help you deal with a guard that’s around a corner who won’t budge. 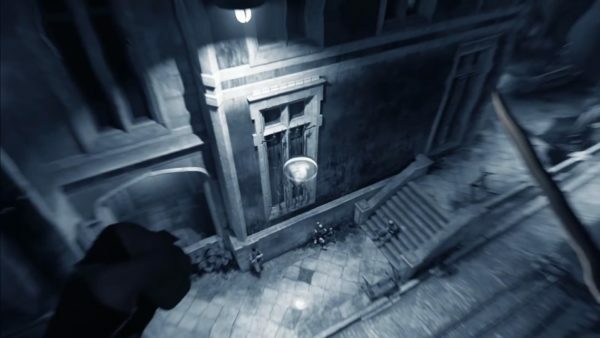 Dark Vision, on the other hand should, be used as much as possible when exploring buildings, since it can see people through walls. Sadly the rest of her skills are just okay at best for a no kill run, but you can try them if you are confident in your abilities. For those who performed a no kill run in the last Dishonored, then you will have a general idea of what should be picked up. Upgrading Blink should be your priority, as the increase in distance allows you to traverse rooftops and scaffolding easier. Unlike Far Reach, there is no carry of momentum, so don’t worry about being flung into a group of guards on accident. The next skill you should grab is Bend Time; it is incredibly handy when you need to either neutralize a group of enemies or pass by them. Unlike Domino, you will need to manually hit each target with a sleeping dart, which isn’t ideal when you can only carry five. Once you’ve upgraded it to stop time entirely, you can use this to knock out one target at a time. Just make sure to hide the bodies away between Bend Time usages, otherwise you will be stuck out in the open with a knocked out guard over your shoulder. Finally, Possession and Dark Vision should be the last two you pick up. They can offer Corvo some ways to sneak past guards without them noticing. There are a lot of vents in Karnaca, so feel free to take control of a rat and use them to traverse areas. You can also use Possession to take control of Guards, which will allow you to pass through areas such as the Wall of Light or by Tesla Coils. Trying to obtain a no kill run is a challenge, but if you invest in the right powers and always stay alert then this shall be yours. Just make sure to place your knocked out bodies on solid surfaces, otherwise they can slide right off an die easily. Remember to visit our ever-expanding Dishonored 2 wiki for all your tips, tricks, guides, and trophy and achievement walkthroughs.